After the NBC Bay Area Investigates report, Bloom has now changed the data on their spec sheet for their fuel cells. The carbon emissions have been increased from the bogus 773 pounds of CO2 per megawatt hour. I checked my records in my email system and I first contacted Bloom on March 23, 2010 to tell them the 773 pounds was bogus. They replied they were certain the 773 pounds was accurate. Bloom continued to lie and greenwash about the 773 pounds until a few days ago when they mysteriously “corrected” their spec sheets. Wow four year and 7 months before the NBC report was when they should have followed the laws of thermo and not BLOOMDOGGLED to gain over a half billion dollars of ratepayer and taxpayer funds illegally. Talking of four score and seven years ago it had been 151 years since Honest Abe gave his address on November 19, 1863. Now that Bloom has greenwashed for four year and seven months and scored over a half billion dollars of ill-gotten money from taxpayers and ratepayers it is time for environmental justice. The Bloomdogglers are still hiding the solid waste with sulfur from any mention on their spec sheet. I was asked if I feel vindicated by the NBC report and Bloom’s revisions to their spec sheet? I said that I will feel that I accomplished something when all the money is returned to taxpayers and ratepayers and when the major shareholders, officers, and directors of Bloom and its subsidiaries face justice and are made to pay for their crimes against nature and humanity. I was then asked, how much time should they serve? I said the laws of thermo have been around since the big bang some 13.8 billion years ago so I would give them all 13.8 billion years minus 4 years and seven months. Thermo rules even if Gore, Doerr, and Powell wish otherwise. The greenest thing I saw this week was a video of a 2008 Hummer H2 being sent through a scrap shredder. One does not see too many Hummers on the road anymore. They were a vestige of when the Terminator was the Governator. The Hummer had a curb weight of 6614 pounds with the 6.2 liter engine. The Governator had a thermodynamic IQ 6.2 below plankton. He still believes that a fuel cell will make the Hummer H2 attain 100 MPG. 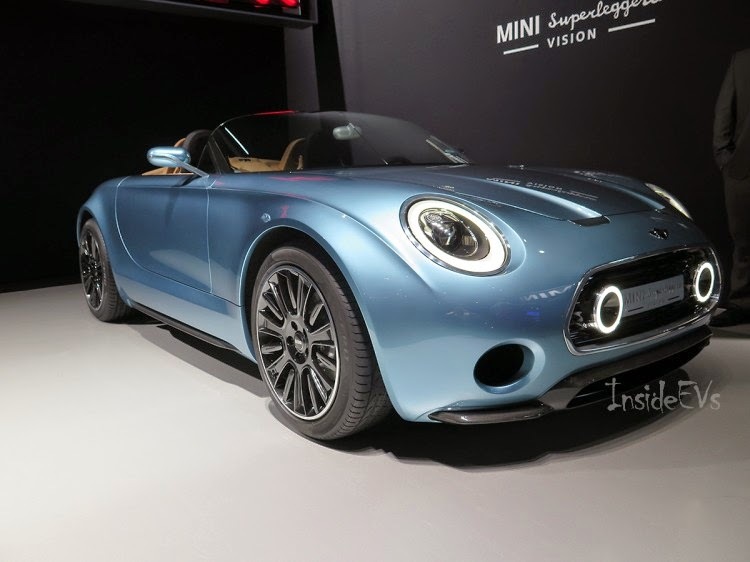 The second greenest thing I saw this week was inside EVs article on the new Mini that was shown at the 2014 LA Auto Show. Cool car that is small and the Anti Hummer. The car is a Super Legger Ahhhh and was also shown in Paris. What a beauty. 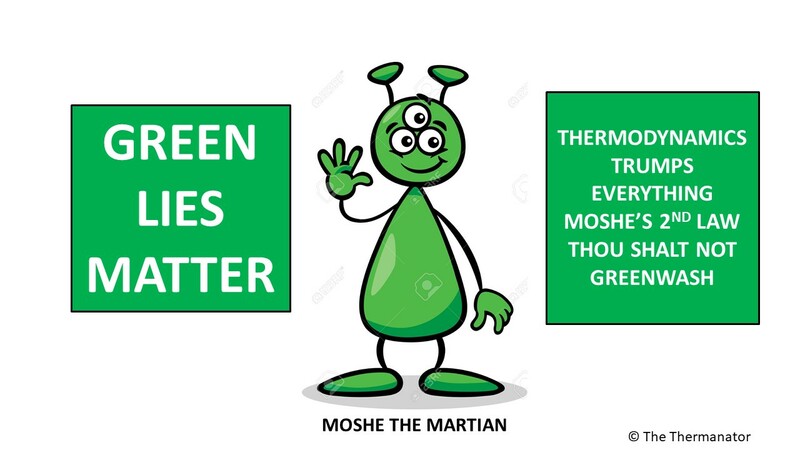 The least greenest thing I saw this week was the announcement by Matt Ross the chief marketing officer of Bloom Energy in the New Zealand Herald when talking of the Delaware Bloomdoggle. I emailed the NZ Herald reporter and told him that the Bloom coffins on average are far less old than two years. The site only reached full capacity in January of 2014 and more than half of the coffins were less than 1.5 years old. I did some math and the weight average age of the 30 mw of Bloom Coffins in Delaware is 9.2 months. Mr. Ross who is the CMO of Bloomdoggle Inc. certainly knows how to compare oranges to apples and rocks. In his fantasy world that he accused NBC of being hodge podge from different time periods he should learn that more than two years is not the gestation period of the humans who are being subjected to high carbon emissions and solid waste with sulfur from his coffins he so aptly “markets” with government handout and high level cronyism. Actually Mr. Ross has a cushy job. He has Kleiner Perkins, Al Gore, John Doerr, and Collin Powell doing all the heavy lifting to gain Bloom customers while taxpayers and ratepayers subsidize his selling price. In his case the CMO stands for Cushy Misleading Orator. Matt Ross, chief marketing officer for Bloom, said the NBC story was misleading. "Their report is a hodge podge from different time periods. They're comparing apples to oranges to rocks," Ross said. Who is Matt Ross ? Matt Ross is the chief marketing officer at Bloom that helps keep the Bloomdoggle going. He is a guy who worked most of his life in an advertising agency. He probably never studied thermo 101! Yet he knows the difference between apples, oranges, and rocks. Mr. Ross we are turning over each rock in the Bloomdoggle and finding corruption and graft hidden under them. The apples are rotten. The oranges have a sulfur hue. Mr. Ross you contradicted Mr. Brockenborough and the NZ Herald article now has you on record as saying “Ross said the Delaware site had been operational for more than two years and was half-way through a maintenance cycle requiring replacement of fuel stacks, leading to anticipated loss of performance.” Remember Mr. Brockenborough wrote under penalty of perjury that the maximum usage of natural gas would be 1.32 million BTU per hour per 200 kw server. Mr. Brockenborough certainly did not disclose any “anticipated loss in performance” in his January 13, 2012 coastal zone act permit application. Mr. Ross you are about halfway through your green-washing cycle and you soon will be replaced. Better still we may place you in the dryer when you are fully greenwashed and spin dried. We don't need your marketing spin. We need a full and unfettered investigation into you and your corrupt company! Amazing how these Green Washers at Bloom continue to dig a deeper hole for themselves. Rob a star engineer asked me to calculate the imputed carbon tax to a consumer buying various cars. As a base let’s assume the motorist wants safe, reliable, and affordable transportation. The motorist can buy a 2015 Toyota Corolla for MSRP of $17,500 and it will get 32 MPG. Let’s assume the car lasts 10 years and goes a distance of 150,000 miles. At 22.5 pounds of CO2 well to wheels we have the motorist emitting 52.73 tons of CO2 over the ten years. The motorist can upgrade to a Prius and achieve 50 MPG and only emit 33.75 tons of CO2 over the same distance in the same ten years. This saves the planet approximately 19 tons of CO2 emissions. The MSRP of the Prius is $24,200. The added $6,700 paid divided by the 19 tons of CO2 means the motorist paid a carbon tax of $352.92 per ton of CO2 saved. This is a very simplified analysis as the battery pack on the Prius required some primary energy to fabricate the pack but for now let’s assume the carbon footprint to produce a Corolla is the same as a Prius. Next the motorist could have bought a plug in Prius. The MSRP is $29,900, this is $14,400 more than the base Corolla. The MPG is 50 on gasoline and let’s assume that one quarter of the miles are driven on US Average Grid power with the grid emitting 0.55 tons per megawatt hour. Doing some tedious math we get the same 150,000 miles driven over ten years the Plug in Prius will emit 32.53 tons of CO2. The carbon tax for buying the plug in Prius versus the Corolla is $712.76 per ton of CO2 saved. Next the motorist could have bought a Nissan Leaf. With a MSRP of $30,585 this car is $13,085 more expensive than the Corolla. Using US average grid emissions the Leaf will have 28.88 tons of CO2 emissions over the 150,000 miles. For this purpose we will not add the CO2 emissions to fabricate the battery and therefore at a minimum the carbon tax to buy the leaf over the Corolla is $548.42 per ton of CO2. As you and I as taxpayers gave the Leaf owner $7,500 to buy the wrong car we got taxed at $314.34 per short ton of CO2 emissions saved. For comparison one can buy a US ton of carbon offsets in Europe for between $7 and $8 per ton of CO2. None of these cars make any economic sense. Go out and buy a Corolla. It is a great car and probably will last long beyond 150,000 miles. The Leaf will turn brown and may not be compostable after 10 years. Yesterday I posted just a picture to explain the election defeat of the Democrats. I received several emails that said this was my best blog ever. I get it - you all want simplicity. So here is the simple version of the BLOOMDOGGLE in Delaware. A corrupt state government plus an equally corrupt public electric utility want to tell folks that they are greening up the grid. The utility does not want to pay anything for the greening so a new bogus tariff is imposed on ratepayers to “green” the grid. 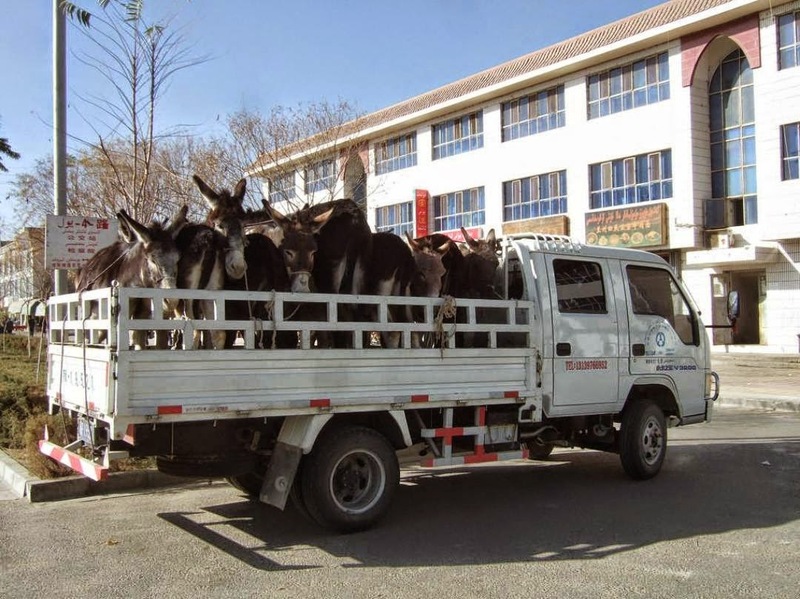 The bogus tariff adds “only” several dollars per household per month that the greenwashers all think can easily be hidden. 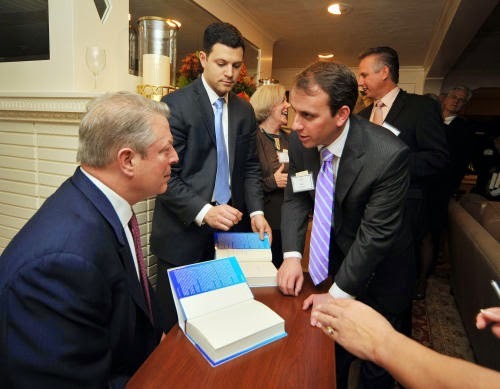 A gangrene company from California with Al Gore, Collin Powell, and Kleiner Perkins involved arrive in Delaware probably with Vice President Biden’s help and claim they can green the grid. And the imposters are given the green monopoly in the state. To expedite construction and connection of the power station to the grid the site chosen is unfortunately in a protected area in the coastal zone and a coastal zone act permit (CZAP) has to be issued. There is a lot of dealing on the permit by Collin O’Mara the head of the Delaware agency (DNREC) who expedites the CZAP. O’Mara hides tons a year of solid waste with sulfur that is hazardous. O’Mara’s staff at DNREC limit air emissions of sulfur to a level that are unattainable by the Bloom Boxes. Bloom in the CZAP application lies about the unit quantity of natural gas that will be used in generating the electricity. NBC news recently showed that the boxes cannot meet the stated specification on natural gas usage. The “small” monthly charge to individual rate payers to subsidize the Bloom Boxes quickly adds up and is now over $62 million and is increasing by over $100,000 a day. The boxes are not as reliable as claimed. The boxes are not as green as claimed. And the boxes are not as affordable as claimed. As this unfolds O’Mara quickly resigns and hides in the wilderness with other foxes in a job his cronies in Dover, DC and Silicon Valley find him as the CEO of the National Wildlife Federation. 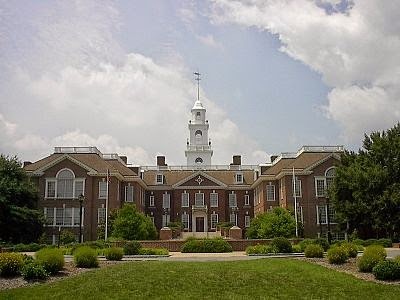 A new Attorney General is elected in Delaware and he has been asked by the Green Machine and other honest citizens to investigate the BLOOMDOGGLE as soon as he takes office in January 2015, replacing Beau Biden the son of the US Vice President. Beau Biden and his department of injustice in Deal Away have not lifted a finger on the investigation of the BLOOMDOGGLE for the past 18 months. This is the BLOOMDOGGLE in a nutshell. This is the perfect storm of crony capitalism in the Green Teapot under the Dome of the State Capitol in Dover. One can see from the picture above, there is a rather small dome on the Delaware Legislative Hall that does resemble a teapot. For those not familiar with US History prior to Watergate the Teapot Dome Scandal was the biggest scandal ever in the country. The Green Machine has drawn a red line in the gangrene sand in Delaware. The line is the rapid and thorough investigation of the permit given to Bloom Energy in the coastal zone of Delaware for the 134 coffins placed at the Red Lion site. I write very occasionally for Breitbart and my rare pieces on Breitbart have proved to be 100% thermodynamically true. Below is an email I sent today where I provided the Delaware DOJ and DNREC the ultimatum to bring an end to the green BLOOMDOGGLE . If they do not end the BLOOMDOGGLE by year end I will write another thermodynamically correct piece on Breitbart that follows my now famous other rare pieces on Breitbart that nailed Bloom, Ivanpah, and Advanced Equities. “Sorry some were left off the distribution. 30 months ago I wrote one of my rare pieces for Breitbart (I actually vote Democrat more often than Republican) as I knew Ivanpah was a boondoggle and Chu/Obama were wasting billions of taxpayers’ money. Just before the Ivanpah piece, I wrote the now famous piece on Breitbart that Bloom Coffins emit more than 773 pounds of CO2 per mwh. Unless I see some real action by the DE DOJ and DE DNREC on shutting the Red Lion site down based on the SO2 air emissions, the hazardous solid waste with sulfur, and the excess natural gas usage, I may have to write the next rare Breitbart piece that puts the nail in the Bloom Coffin and shines the light on the collective corruption from top to bottom in Delaware government. My hunch is that the corruption goes 90 miles down the I 95 to DC but I am still working on that. Note it is only a hunch and I have not made any allegations of that. The smelly rat in the hunch is where O'Mara ended up and my questions on who gave him the job? I do have all the data and evidence that show the Dover conspiracy of environmental criminality. You have all been given the evidence and it is overwhelming just like the smell of H2S. Dover DE unlike Dover England has no white cliffs just yellow piles of sulfur. For sure there is nothing green about Dover. Note a few months back Collin O’Mara resigned as Secretary of the DREC to become the CEO of the National Wildlife Federation (NWF). I have informed the NWF that Mr. O’Mara hid solid waste with sulfur that is hazardous in the Delaware coastal zone and made tons of the unpermitted solid waste disappear from the Red Lion site that has 134 Bloom coffins. We will see if I ever hear from the NWF which hopefully may soon stand for Notorious Waster Fired! Finally the world is being offered a green electric vehicle. It is the Arcimoto SRK. 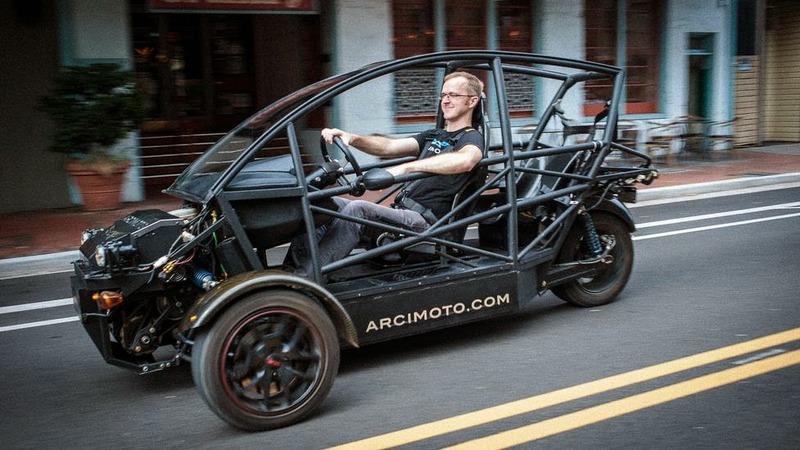 I saw this piece on the BBC and I became interested in the Arcimoto. Yeah this is not a car for a rich MD in Orange County who only wants prestige and tax breaks. This is the EV of the People. The Arcimoto even has the option to attach a shroud of light weight polycarbonate panels to keep the passengers from freezing. Mark Fronmayer the man behind the Arcimoto is finally a UC Bezerkeley graduate who learned thermo and not junk in silly courses that Dr. Kammen and his cronies teach there in the Inappropriate Energy Lab. This three wheel car is cool! It is hip! It is bloody marvelous. It has ample speed (75 MPH) and decent acceleration (0 to 60 MPH in 9 seconds) with ultimate simplicity and beauty in its form and function. It has a simple battery pack using 2,000 cylindrical lithium ion cells. This could be approximately 20 kwh of stored energy that feed the two motors that have 30 kw of power each. Mr. Fronmayer is the anti Fisker. He has designed a car of utter simplicity effectively using a small battery pack to get folks out of large cars that simply make no sense for short trips in the urban environment. I will send this blog to the greenwashers at Siemens who claim that carbon monoxide is best used to produce ethanol in the LanzaTech boondoggle. The carbon monoxide in steel mills should be used to make the removable polycarbonate body panels for the SRK. Of course the steel tubes that shroud the driver and the one passenger in the rear will come from the very same steel mill. The SRK is named as a shortened name for a Shark. Siemens may claim the SRK stands for Siemens Really Kares. Of course I know cares in spelled with a C but many C words in English are K words in German. Perhaps there is a Great Green Shark? There is a Greenland Shark. The final final permit issued by the Delaware Department of Natural Resources and Environmental Control (DNREC) on July 9, 2014 states that the 27 megawatts of Bloom Boxes in the coastal zone will emit no more than 0.0039 tons per rolling 12 month period of Sulfur Dioxide (SO2) into the air. This equals 7.8 pounds per year of SO2. When the DNREC issued the final final permit to cover up the final permit that was already issued six months earlier they stated (falsely I might say) that the maximum usage of natural gas in the same 12 month rolling period would be 1,516 million cubic feet. I say this is false accounting as the state calculated the natural gas used in a year based on 100% capacity factor for the power station and no power station on God’s green earth has 100% capacity factor. The real capacity factor as reported by Bloom is only 84%. Now let’s do some basic engineering. A hundred cubic feet of natural gas has a mass of approximately 4.14 pounds. Therefore 1,516 million cubic feet of natural gas has an approximate mass of 62,762,400 pounds. The amount of sulfur in 7.8 pounds of SO2 is 3.9 pounds. Dividing 3.9 pounds by 62,762,400 pounds we have the concentration of sulfur in natural gas at 62.14 parts per billion. This applies if the heat rate of the Bloom Coffins is the maximum of 6.6 million BTU per mwh that Bloom assured under penalty of perjury in their permit application. However, we know Bloom is now using 7.39 million BTUs per mwh. In this case the concentration of Sulfur in the gas is a maximum of 55.5 parts per billion. The incoming gas from the pipeline system in Delaware has a maximum sulfur content of 2 grains of sulfur per 100 cubic feet. There are 7,000 grains in a pound and performing the algebra, the pipeline gas has a concentration of sulfur of 69,013 parts per billion. Therefore the desulfurization system that Bloom claims removes sulfur in the pipeline natural gas before it enters the fuel cell stack has to reduce the concentration from a maximum of 69,013 parts per billion to only 55.5 parts per billion for Bloom to meet the permitted SO2 air emissions. This is pretty much impossible from a chemical engineering perspective. In the highly unlikely event that Bloom does meet the sulfur limitation in the air they will have even more massive amounts of solid waste that contain sulfur and are hazardous if the use their patented desulfurization technology. In the Bloom permit application their VP Mr. Brockenborough referred to the possibility that the desulfurization sorbent filter could achieve a sulfur concentration in the gas of 1 part per million which equals 1,000 parts per billion. This is the more probable case and in this scenario the SO2 emissions into the air in the coastal zone are approximately 18 times the maximum permitted level. It looks like Bloom and DNREC have three problems. Third as much as 18 times the permitted quantity of SO2 emitted into the air. I say three strikes you are out and it is time to shut down the Red Lion power station in the pristine coastal zone of Delaware and get back the $149 million Bloom extracted from taxpayers and ratepayers for their dirty, unreliable, and bloody expensive power. Of course Condi Rice the once Board of Director did not say a word about the missing money nor the missing weapons of mass combustion. KIOR will be delisted from the NASDAQ next week and Chapter 7 is likely the next chapter they will be reading in their fake out to convert Southern Yellow Pine into Diesel. The demise of KIOR could finally keep Vinod Khosla quiet as he was the architect of the debacle to waste almost $70 million of taxpayers’ money in the poorest state in the Union. The next gangrene greenie to report missed goals is our favorite BLOOMDOGGLE who did not hire the 300 people promised in the State of Deal Away or as some say Delunaware. They managed to hire 208 people while extracting $62 million in subsidies on overpriced, dirty, and unreliable power from Delmarva ratepayers. Then the coconspirator in the BLOOMDOGGLE in Deal Away, Delmarva Power finally fessed up to the high price they charge for the natural gas used by Bloom. I have always stated that Delmarva was making money on the gas used by the Bloom coffins in the coastal zone of Deal Away. For 28 months they pretended to have no margin on the natural gas but finally they submitted the real price for natural gas they charge to Bloom who then charges this price to the ratepayers. I also blogged on the Global Nature of the BLOOMDOGGLE and how the province of Alberta Canada and the country of New Zealand were in on the profiteering by Bloom Energy. Bloom’s technology empowers customers to generate their own electricity and reduce their CO2, NOx and SOx emissions. Bloom Energy Servers release 773 pounds of CO2 per megawatt-hour while the average U.S grid emission rate is 1,555. I did some math on the sulfur the US EPA says will be emitted from a natural gas turbine. The math showed that based on Blooms real heat rate of 7.55 million BTU per mwh, bloom will create 0.12 pounds of Zinc Sulfide solid per mwh. Per their patent the ZnS is trapped on a solid filter and with an estimated loading of 6% on the filter bed the quantity of hazardous solid waste with sulfur that Bloom creates but never admits to is 1.95 pounds per megawatt hour. The US EPA should report this as well. But the US EPA has been bought by Al Gore, Colin Powell, and John Doerr of Bloom so we will never hear the truth from the US EPA or the Delaware DNREC about the estimated 1.95 pounds of solid waste that Bloom creates for each megawatt hour of expensive unreliable energy they sell. 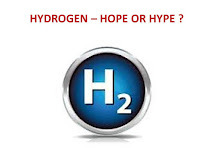 Yes the Bloom electrons cost $220 per mwh and the US DOE has estimated the natural gas turbines creates power for less than $70 per mwh – the Bloom electrons are outrageously expensive. The gas turbines can operate at 95% capacity factor and we know Bloom reported they were only able to operate at 84% capacity factor in Delaware. The gas turbines are more reliable!! Bloom should have written their Charmin Paper with green ink as nothing about the coffins is green and Bloom the BLOOMDOGGLER is just about crony capitalism. $62 million for 208 jobs cost Delmarva ratepayers almost $300,000 a job. This is the travesty. This is unfair. This is a crime. This is a BLOOMDOGGLE.